The US Department of Defense announced that Boeing has received a Foreign Military Sales contract valued at nearly $223 million to provide Saudi Arabia with upgraded Chinook multipurpose CH-47F helicopters. 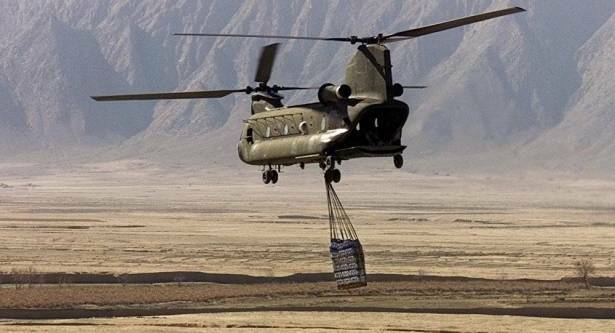 Boeing has received a Foreign Military Sales contract valued at nearly $223 million to provide Saudi Arabia with upgraded Chinook multipurpose CH-47F helicopters, the US Department of Defense announced in a press release. "The Boeing Co.-Philadelphia, Ridley Township, Pennsylvania, has been awarded a $222,549,505 modification to a contract for eight CH-47F new build helicopters to support the Royal Saudi Land Forces Aviation Command (RSLFAC)," the release said on Wednesday. The CH47F is designed to transport soldiers and their equipment to the battlefield, according to published Boeing information. It can also be put in service for humanitarian missions, disaster relief and heavy lift of equipment.